An endoscopy involves examining the inside of a person's body using an endoscope. An endoscope is a medical device consisting of a long, thin, flexible (or rigid) tube which has a light and a video camera. Images of the inside of the patient's body can be seen on a screen. The whole endoscopy is recorded so that doctors can check it again. 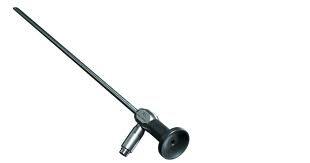 Endoscopy is a minimally invasive diagnostic medical procedure. It is used to examine the interior surfaces of an organ or tissue. provides unbiased peer reviewed information about laparoscopic surgery and other minimally invasive techniques. In carrying out this mission, this material is presented as an electronic medical text book enhanced by high quality multimedia.